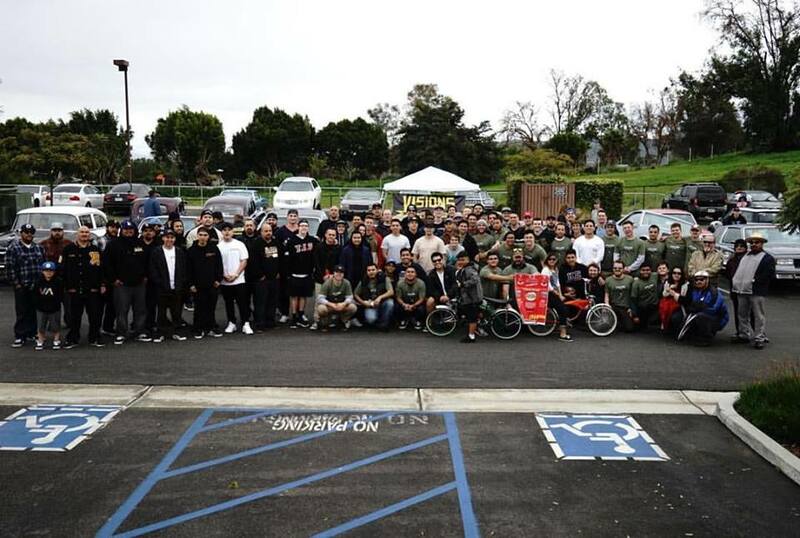 The Tau-Omicron Chapter of the Kappa Sigma Fraternity will be hosted our 2nd Annual Kick the Cancer event on February 18th, 2017 to raise money for the Fisher House Naval Medical Center of San Diego and the Military Heroes Campaign as way of giving back to our military members. 100% of donations raised that day and through the donation page were donated equally to both philanthropic organizations. 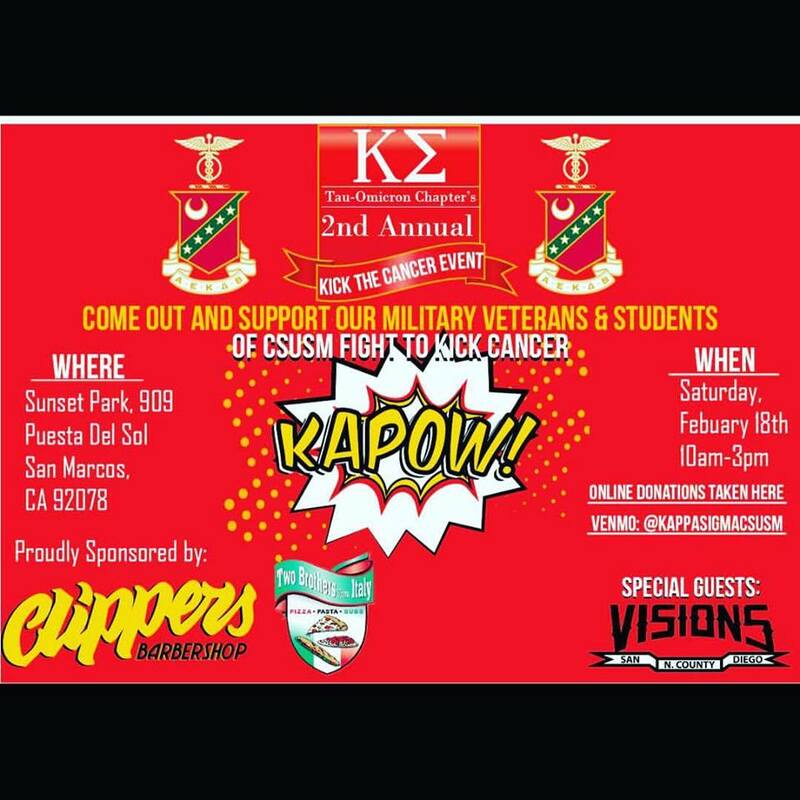 This fundraiser was locally sponsored by @clippersbarbershopsanmarcos who shaved heads for a 20$ donation to support our hard working men and women serving our country. Two Brothers from Italy San Marcos also sponsored our event by providing Pizza for the event. Visions Custom Car company also made a special appearance at our event showcasing 25+ classic cars to allow participants to view the day of.